Recent highlights include a Carnegie Hall debut, performances at the Vancouver Olympic Games, International Beethoven Festival (Chicago), Tempietto Festival Musicale della Nazioni (Rome) and Music in the Mountains Festival (California). Other major engagements have included a seven-city tour of China in spring 2013, as well as concerto performances with the New York Camerata, Chicago Prometheus Chamber Orchestra, Toronto Sinfonietta, Orchestre Symphonique de L’Isle, McGill Chamber Orchestra, Ensemble Arkea and Bielsko Chamber Orchestra, with which she opened the International Bach Festival (Poland). Her new CD, Come Dance with Me, recorded by Meridian Records has received rave reviews and has been played on over 100 radio stations; including the BBC (UK), CBC (Canada), WQXR, WFMT (USA) to name a few. The album was selected “CD of the Week” on WGBH in Boston and “Download of the Week” on KDFC in San Francisco. Ms. Musial, a Steinway Artist, enchants audiences with her repertoire that showcases many different styles which span from baroque to modern. Also interested in the music of today, she has performed works by avant garde composer Jay Sydeman and gave the world premiere of a 35-minute piano suite dedicated to her, Mark Vance’s “Nevada County Epitaphs,” at the California Music in the Mountains Festival. 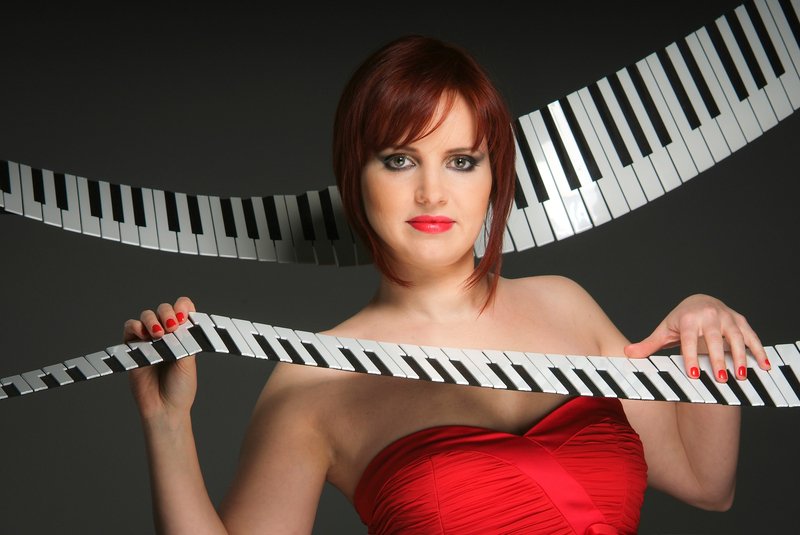 Ms. Musial has appeared at the Casalmaggiore International Festival in Italy; the Gold Country Piano Institute in California; the Academie musicale de Villecroze – Piano in the XXth Century, France; the 10th and 11th Internationale Sommerakademie Prag, Wien, Budapest and the International Music Festival in Paris. Selected venues have included among others, the Warsaw National Philharmonic Hall, Cracow Philharmonic Hall, Shanghai Oriental Art Center, Chan Centre in Vancouver, Isabel Bader Theatre in Toronto, Place des Art and Pollack Hall in Montreal as well as Weill Recital Hall in New York. Ms. Musial holds a Masters degree with high honours from the Academy of Music in Cracow under Professor Stefan Wojtas, as well as an Artist Diploma from the Vancouver Academy of Music under Professor Lee Kum-Sing and a Diploma in Advanced Music Performance Studies from Montreal’s Concordia University under Professor Anna Szpilberg and Philip Cohen who remains as her mentor and long term performance coach. She is a laureate of the Mrs. Cheng Koon (S.K.) Lee Scholarship as well as grants and scholarships from, Conseil des arts et lettres du Québec – Vivacité Montréal, The Banff Centre, the Vancouver Chopin Society and the Quebec Polish Cultural Foundation.